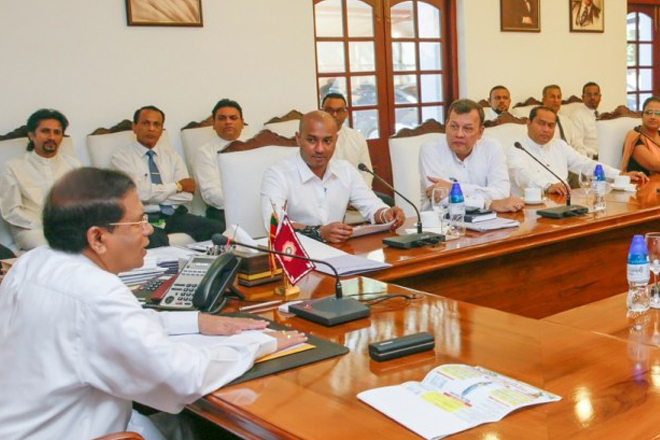 Feb 29, 2016 (LBO) – Sri Lanka’s President Maithripala Sirisena has appointed new Sri Lanka Freedom Party (SLFP) organizers to electorates and districts, today. The event has taken place at the President’s Official Residence, Presidential Media Division said. Secretary to the President, P.B. Abeykoon and the General Secretary of the Sri Lanka Freedom Party, Duminda Dissanayake were present on the occasion.